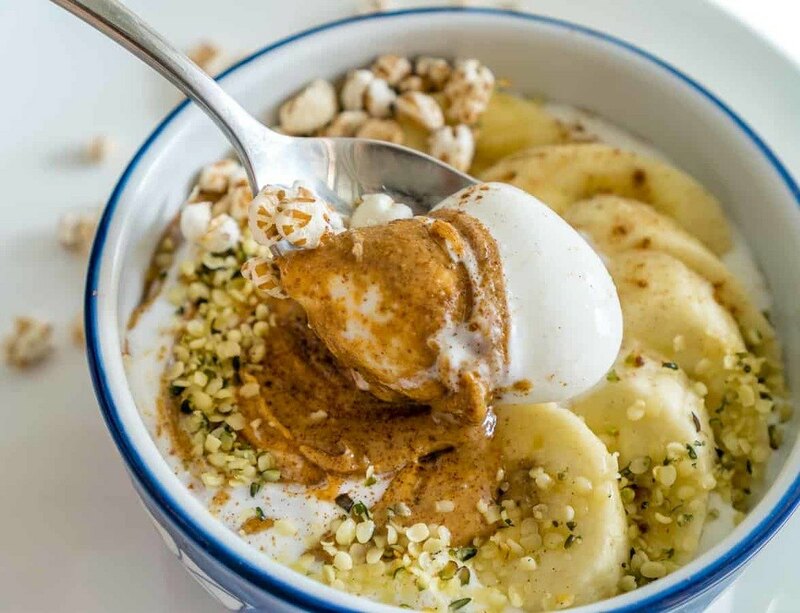 Whipped Cottage Cheese Bowls with Almond Butter and Bananas - a healthy, delicious, creamy breakfast or snack. You'll never go back to chunky cottate cheese! Add the cottage cheese to a medium food processor. Pulse a few times, then process until smooth. Divide between 4 bowls, and top each bowl evenly with toppings. Alternatively, you can serve 1-2 bowls and refrigerate the rest of the whipped cottage cheese in the same container it came in and eat it later.